Root canal therapy is a common restorative procedure that you may need if you have severe tooth decay or a serious injury. This procedure can rescue a tooth from extraction and keep your smile intact -- keep reading to find out just what to expect from a root canal in Chesterfield. A root canal is necessary when the tissue that lives in the interior of the tooth is infected or has been damaged. Because this is where the nerves of the tooth are housed, you are likely to experience moderate to severe pain as well. 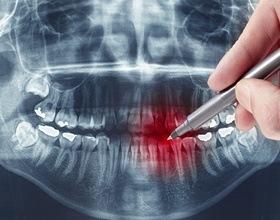 A persistent ache is one of the most common symptoms of a tooth that requires root canal therapy. A root canal is a procedure that usually takes place over the course of two visits to the dentist’s office. 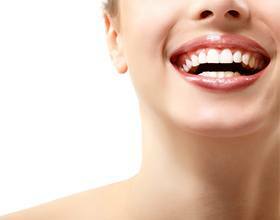 During the first, the interior of the tooth is cleaned out and a biocompatible material takes its place. Then, the infection is allowed to heal and your permanent restoration is created in a separate laboratory. You return to our office for its final placement one to two weeks later. 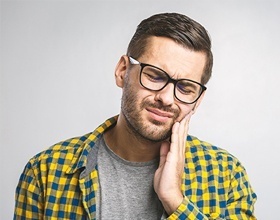 Root canal therapy may have the reputation of being painful, but thanks to modern anesthesia and sedation options, there is nothing to dread from this procedure. We will only begin once we are sure you are completely comfortable. Once the procedure is complete, we will give you plenty of time to relax until you are ready to go home. We will send you off with post-operative instructions including what to eat, how to care for the tooth, and other important information. Do you have more questions about root canal therapy? We’re here to answer them. Go ahead and get in touch with your dentist in Chesterfield today!